Fans accustomed to the 80s obscure sound of ‘Still Life’ [Ep, 2015] will be amazed to discover how far The Whip Hand has traveled to perfect a brand new form. In terms of songwriting the progress achieved is impressive: the post-punk rage unfolds an unexpected flow of accurate and reverberated melodies, thanks to the addition of a second guitar to the ensemble. The Whip Hand turns up revealing a brand new form! The post-punk fury of the beginning is now subdued to a gentle hypnotic sound, where the polyphonic harmonies of the driving swooning guitars face the smooth texture of warmer synths and whispered voices. When the sparkling melodies get engaged with the way more disturbing distorted arpeggios, then a unique songwriting balance is achieved; thus creating a shaded sonic atmosphere not to far from the charming soundscapes of DIIV, Real Estate, Wild Nothing and Sonic Youth. Recorded, mixed and mastered by the indie rock maven Filippo Strang at the VDSS Recording Studio, ‘Sometimes, We Are’ is a work of pure daydream beauty, setting the band among the best Italian acts, definitely ready to outclass even some prominent names of the current indie panorama. ZEST UP YOUR DAY AND DELIGHT YOUR EARS! The album is available on our official Bandcamp stores, e-stores & streaming platforms. 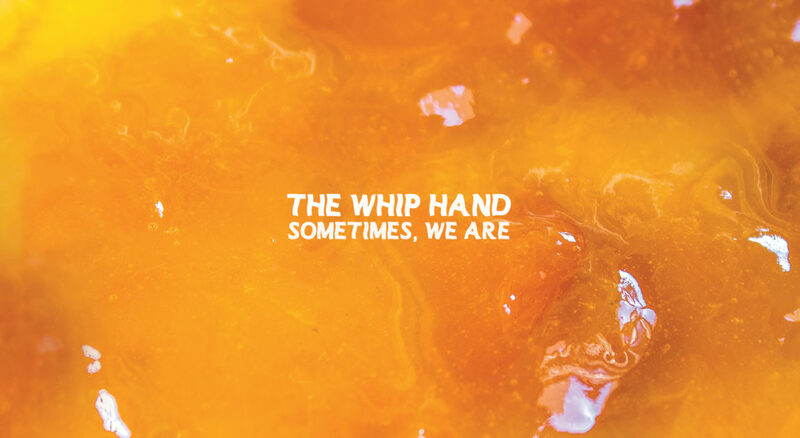 « Watch ‘Already Gone’ • New video by The Whip Hand premiered today!